Quick summary: Students are introduced to the concepts of justice and injustice and study media texts that represent issues and communicate perspectives about seeking asylum with respect to these concepts. They enhance their understanding of how media texts use language, visual and structural features to represent these justices and injustices with respect to people seeking asylum in different ways; including the use of selection and omission to position audiences. With a specific focus on news media texts, students will use a selection of thinking and analytical tools to deconstruct and evaluate perspectives represented and analyse how language and visual features influences audiences. Students will understand how combinations of language and visual features of news media texts shape meaning and position audiences in relation to issues of justice and injustice in people seeking asylum and in offshore detention. Students will understand and explain how news media texts use written and visual language for inclusive and exclusive effects that empower or disempower and foreground perspectives. Students will enhance their understanding and skills in analysing and evaluating visual and language choices used to shape meaning and communicate perspectives about seeking asylum. Syllabus outcomes: EN5-1A, EN5-5C, EN5-8D, EN5-7D. Relevant parts of Year 10 English achievement standards: Students explain how the choice of language features, images and vocabulary contributes to the development of individual style. They listen for ways features within texts can be manipulated to achieve particular effects. Resources required: Student Worksheet – one copy per student OR computers/tablets to access the online worksheet. Device capable of audio/visual presentation to present a website to the class. Justice and Injustice Images to project. Limbo is Nauru’s Real Torture for Asylum-Seekers – Chris Kenny. Sticky-notes (optional). 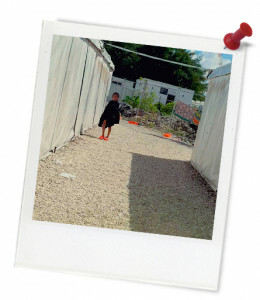 Keywords: asylum seeker, refugee, migrant, media representation, justice, injustice, children. Overarching learning goal: This lesson is designed to engage students in an examination of stories of justice and injustice with respect to people seeking asylum in Australia and policy responses to these stories. Through considering the meanings of justice and injustice and developing their own understanding of how these concepts apply to the context of refugees, people seeking asylum in Australia and in offshore detention, students will enhance their ability to think critically about the perspectives presented to them through news media texts. In analysing news media texts and comparing how language, structural and/or visual choices shape meaning, students will further enhance their critical thinking skills and ability to deconstruct how these choices are used to communicate perspectives and influence audiences. Thought starter: Is treating people equally the same as treating people fairly? With your teacher’s guidance, complete the 'Think, Pair, Share' activity below by considering what comes to mind when you see or hear the word JUSTICE. THINK - What comes to mind when I hear or see the word JUSTICE? Look closely at the two illustrations (also available here) that your teacher has projected and list as many things about justice and injustice that you can conclude from observing these images. Aim to list at least three things.